Matcha Salt is a great seasoning salt. Matcha salt is a simple and easy to make. It brings out the “umami” (Japanese for savory flavor) of meat and seafood. Matcha is uniquely flavorful. As a seasoning ingredient, it adds a vegetal and almost seeweed like flavor and natural sweetness to food. It is also not overpowering, it rather compliments your food. Combined with a quality salt, it can really add more depths and make your dish more interesting. 1. 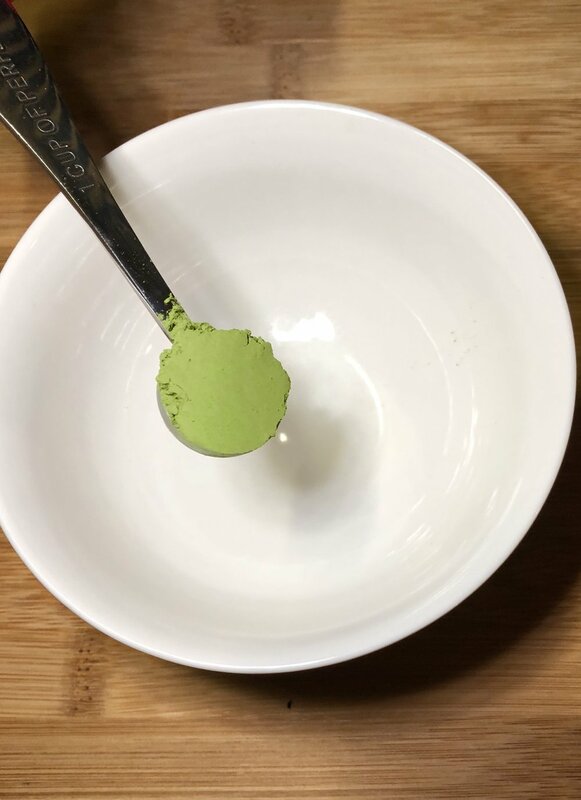 Use a Matcha to salt ratio of 5:1 or a ratio of your liking. 2. We recommend Using sea salt or rock salt. 4. Use Matcha salt as a rub for meat. 5. Sprinkle Matcha salt on seafood and steak when serving. We sprinkle Matcha salt on pan seared scallops.